AQ's owner; she and Makino have been friends since Makino was a student at design school. She was proactive enough to decide to start up a store and get help from her father so her friends could fulfill her dream, and even since, she has handled all the administrative and logistical aspects of the business on her own. When it comes to AQ, you could call her the power behind the throne. She sees Makino as more than a friend, but since she's always kidding around, Makino doesn't seem to realize she means it. 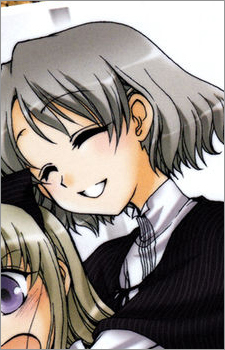 She has a cameo in chapter 10.5 of Ameiro Kouchakan Kandan, and in Marble Color.